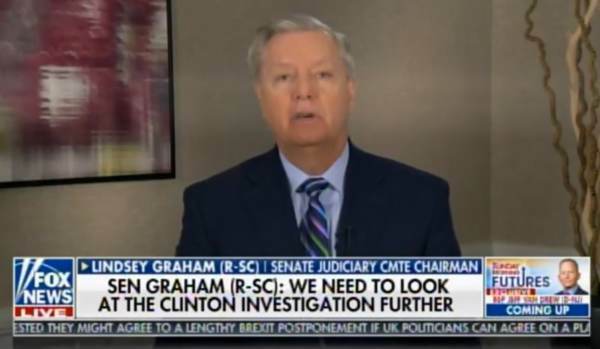 Senator Graham: I know Bill Barr and he’s pretty upset about how all of this was handled… I hope there is a special counsel appointed to look at DOJ corruption and political bias… I think it’s important to understand that political bias probably drove the Clinton outcome and not the facts… I just want the American people to know that the standards used against Clinton is an outlier. It’s not the way business is done. And why did they choose that path? I think they had a political bias. They wanted Clinton to win, Trump to lose… Well May 1st, Barr is going to bring the Mueller Report over… I’m going to turn looking toward the counter-intelligence investigation. How the Clinton email investigation was handled and FISA abuse.